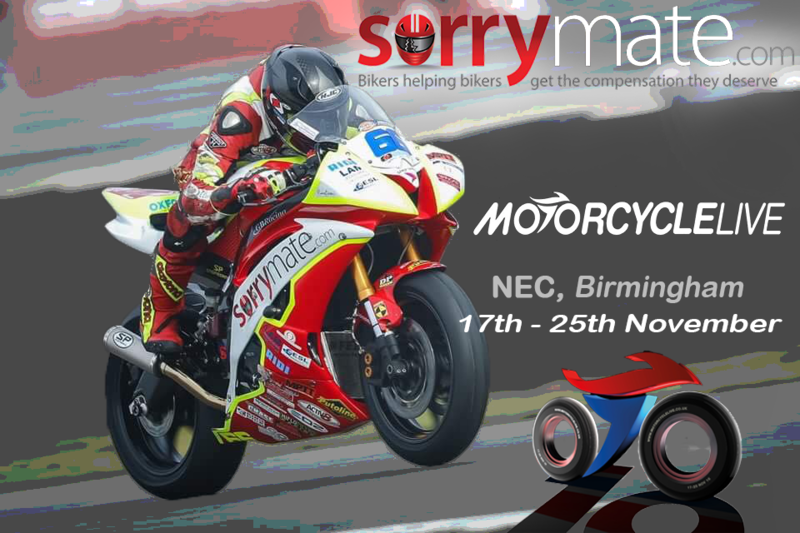 We are visiting the NEC from the 17th – 25th of November for the 2018 Motorcycle Live event! Come along to the Sorrymate.com stand and say hello! More details to follow for the location of the stand and hall. 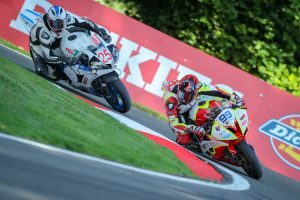 To round up the season we headed down south to Kent for the final two races for the 2018 championship at Brands Hatch. The opening free practice session of the weekend provided damp conditions as the circuit slowly dried up from the previous night’s downpour. Kurt consistently ran comfortably within the top 10 with Matt in hot pursuit in the teens until the closing stages where it became a game of who pitted early enough to swap to dry tyres as the final handful of laps shifted the field around. 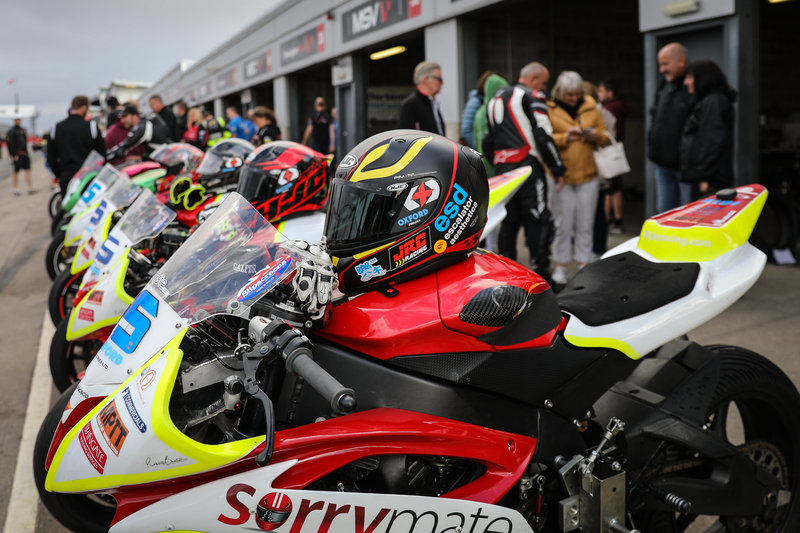 Both of the lads were on personal best form as they headed through FP2 chipping away at their lap times and making regular pit intervals to work with the pit crew and develop a better setting for the Sorrymate Racing R6. The final lap saw Kurt secure a lap time only 0.7 from the top 5 over the 2.4 mile long circuit. Saturday brought an unusual sunny forecast for this time of year with a blue sky ready for the morning’s qualifying session. Overnight many changes were made to both bikes in a bid to keep pushing forward knowing that the times would drop. Kurt rose to the challenge and dropped his lap time by half a second below his FP2 and previous personal best lap time whilst Matt shaved 0.4 of a second from his, however, this was not quite enough to leave them satisfied with their grid positions so back to the drawing board over dinner to discuss the next steps forward. Race one was at our feet in no time as we lined up on the grid. As the lights went out Matt began to bully his way through those around him as Kurt had a cracking start tagging onto the front pack just shy of that top 10 spot he is set on. Unfortunately the racewas red flagged due to an incident elsewhere in the race which meant a restart from original grid positions. As the lights went out for the second time that day, Kurt got trapped on the inside of turn 1 due to unlucky track positioning causing him to lose momentum and drop back for the 8 lap dash. The closing stages of the race saw Kurt round up the points in 15th and Matt closely behind in 18th with yet again another faster lap of the weekend. We were gutted to say the least that the restart hindered our result but what more can be said, it’s all part of racing. The closing race of the season went down with a storm in more ways than one. Not only did the heavens open but riders began to fall from the get go as the lights went out. Kurt took a modest approach to the race by settling into a rhythm to begin with and then pushing on as he caught up to the group in front making his way past several riders before hitting eject as he high sided exiting turn 4. Once his progressive tactic was ruled out, all eyes were on Matt who had a front row seat for Kurt’s crash almost running him over with another three bikes. Matt took the opposite approach to Kurt having already stormed forward past his twin brother and many others demonstrating some fantastic track craft and elbows out action during the opening stages. As we fast forward to the closing stages of the race Matt’s tactic also proved to fall short of being flawless as he suffered a much larger high side on the final lap exiting the race from P11. Both riders walked it off as we completed the season on a crash fest after Kurt completed 7 races on the bounce without crashing out. Unfortunate ending but despite the tough season there have been plenty of highs with many sessions battling it out for the top 5 but just fell short in the races where it counts the most. I would like to take this time to thank everyone for reading our updates and supporting us along with every sponsor no matter how big or small, we couldn’t do it without you. A special credit is due to the team who have grafted all year round and put in countless hours for the pride and mini victories achieved this season. Our attention is now onto a winter of hard training to come fighting back in the new season bigger and better. 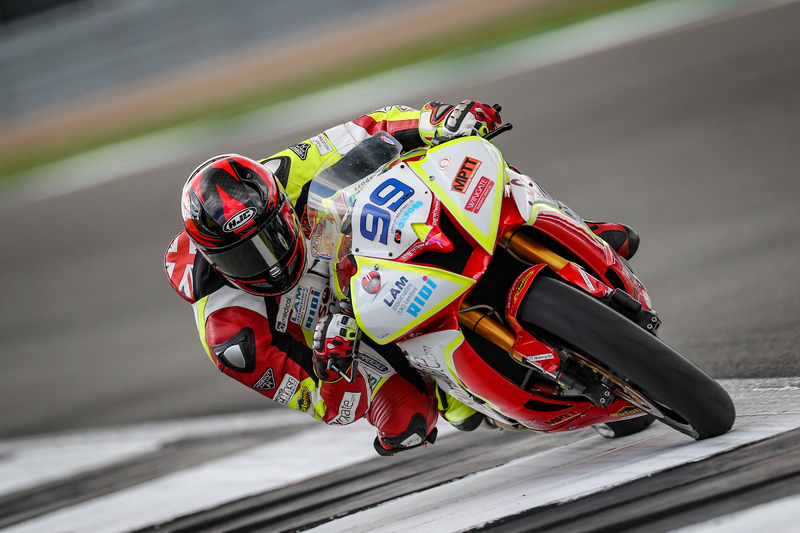 The penultimate round of the 2018 British Superbike Championship bought us outside of the usual realms of Great Britain and into Europe, to the TT circuit of Assen in Holland. The weekend began on a positive note with Kurt setting a good pace and putting down top 10 lap times during free practice 1. He closed the session in P8, feeling optimistic that there was more progress to be made throughout the rest of the weekend. He further sliced from his lap time in FP2, however, this left him in P10 as the session ended. 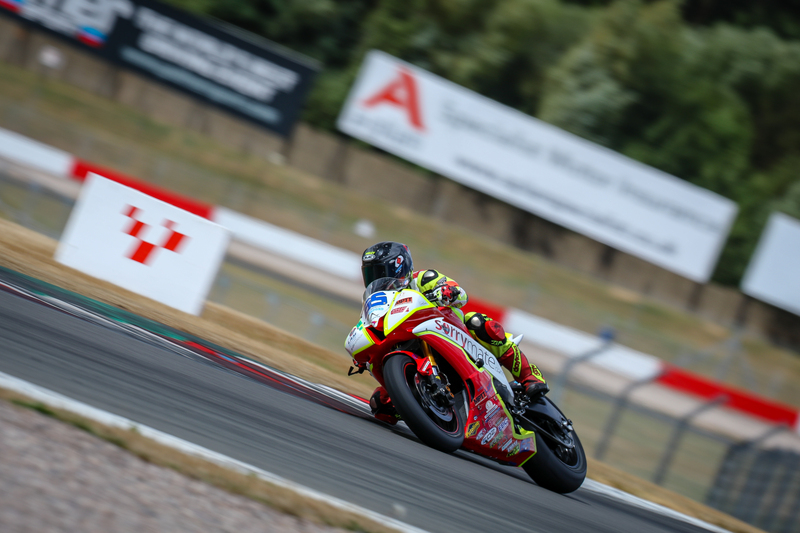 Matt did not complete the Assen round last year due to competing in the Superstock 1000 class and thus hadn’t been to the circuit for 6 years! 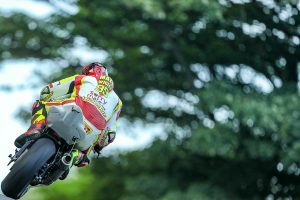 Having spent the two practice sessions applying knowledge from his research, working with Kurt and learning the track, he was able to knock over a second off his original lap time in FP2. On Saturday morning, weather conditions were dry and bright. Kurt had made several big changes to the bike settings with the aim of helping him bring down his lap time. Whilst he managed to knock off a further 0.4s, this left him qualifying on row 6 of the grid. The session was good and the team were happy. Although the improvements made were not to the extent that we were hoping, it’s always a positive to reduce lap times, especially having made such drastic changes to the bike. Once again, Matt progressed with leaps and bounds. 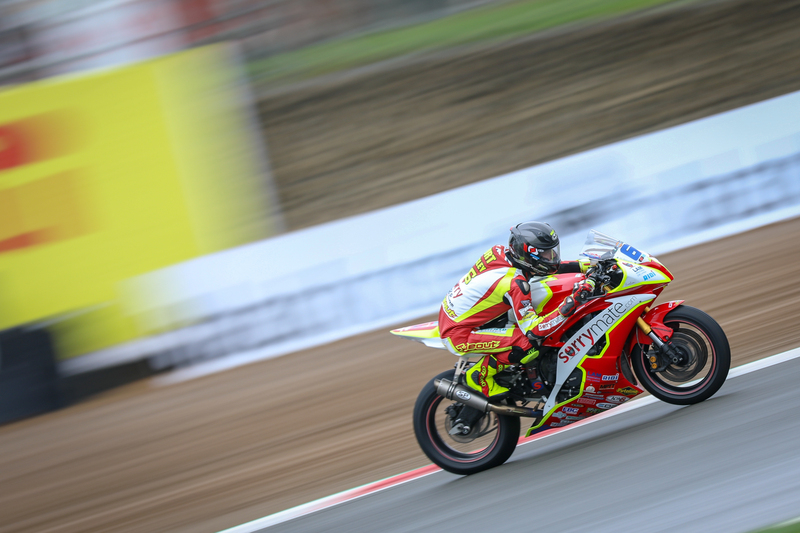 Having also modified the settings of the bike, he reduced his lap time by a further 0.8s and qualified in 24th. The sprint race got off to a good start, with both riders making up positions. However, after first couple of laps it was becoming evident that there was an issue with Kurt’s bike as other competitors were passing him early on the straight, leaving him to fight back on the corners. 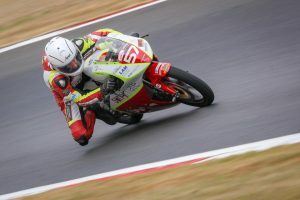 By the fourth lap, it was clear that there was a serious clutch issue meaning that Kurt was unable to accelerate out of the corners anywhere near to the rate at which he should due to the clutch slipping. For the first time ever, he was forced to retire from the race. 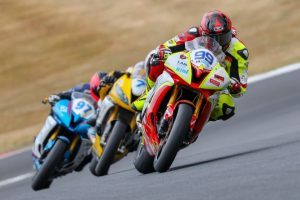 Matthew continued battling with a group following the incident but overestimated the bike’s ability to stop entering turn 1 during a bold overtaking manoeuvre when he lost the front and sent the bike into the gravel trap. Matt was fortunately ok but the same couldn’t be said for the bike, with a long night of work ahead the mechanics. 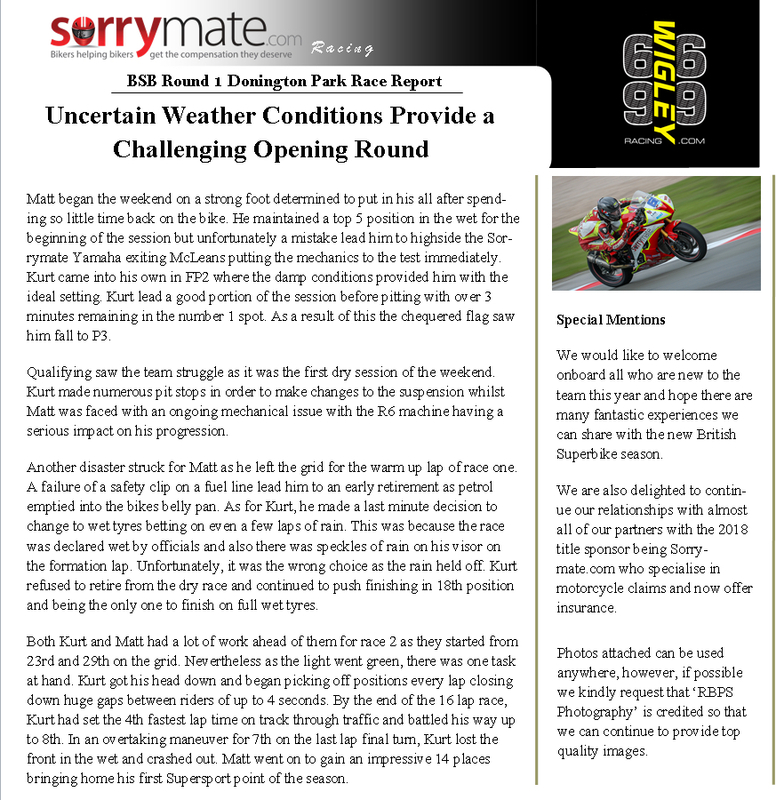 The beginning of the feature race on Sunday was a completely different situation with Matt starting ahead of Kurt on the grid due to Kurt’s short-lived race 1 meaning he did not have chance to put down a strong lap time. Kurt was feeling determined to prove himself after a series of bad events and achieved a good start to the race. However, Kurt opted for the outside line for turns 1 and 2. This was a fantastic step forward as it moved him a few rows ahead, putting him on the outside of Matt as the bikes entered turn two four-a-breast. Unfortunately, the risk of being on the outside is being caught up in other people’s incidents. It turns out that in this situation, that person was Matt. As he lunged for the inside line, a collision with a fellow competitor meant that he lost the front mid-turn, close lining Kurt into the gravel as he passed through the field on his side. In an attempt to recover the situation, Kurt tried to restart but was stuck in the gravel trap. Matt quickly got up and helped to push his brother back onto the track. The crowd cheered. Now placed 38thwith a standing start in the gravel, Kurt first had to catch and overtake the BMW i8 safety car. Following that, he then moved on to the true competitors who had an advantage exceeding 10 seconds on lap 1. Due to the extent of the delay, Kurt tried his upmost to catch and pass as many riders as possible who had broken off into small groups by the time he reached them. He made his way forward to 22ndplace. 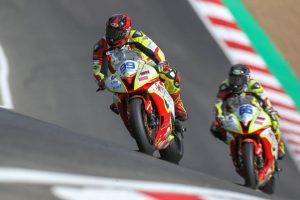 Faced with a lot of bad luck this weekend, the twins have their sights set on making improvements at Brands Hatch for the final round of the season. The season seems to have passed far too quickly this year! 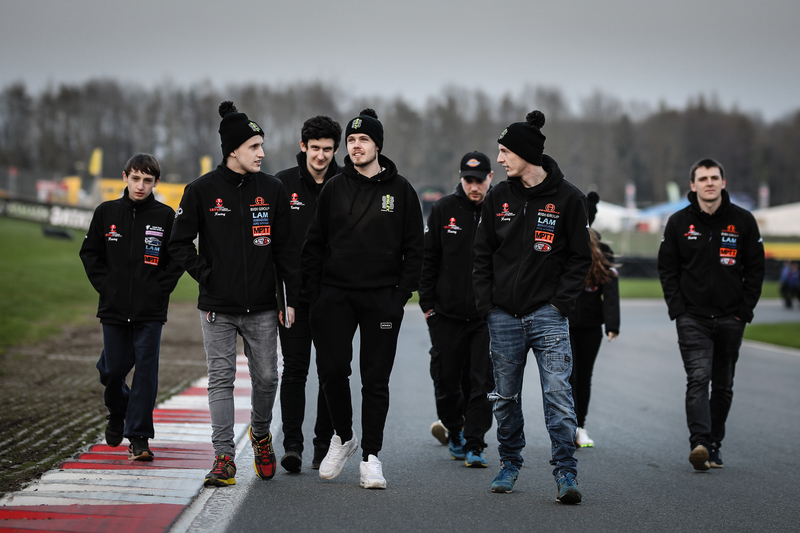 Round 10 bought the team to the remote circuit located on the outskirts of Tarporley – Oulton park. It was an action-packed weekend for the team with Free Practice 1 getting off to a good start with both riders feeling confident on the bike and putting down some respectable lap times from the off. Kurt rounded just outside of the top 15 running the majority of the session within the top 10. Matt was also soon to find his feet matching his personal best lap as the session progressed. Free Practice 2 kept the team on their toes as a quick tyre change was needed due to the rain making its appearance for the weekend. It was a slow start for both racers, however as the session progressed Kurt really came into his own. On lap 10 of 12 he managed to put his best lap time down of the session going 8thquickest overall. 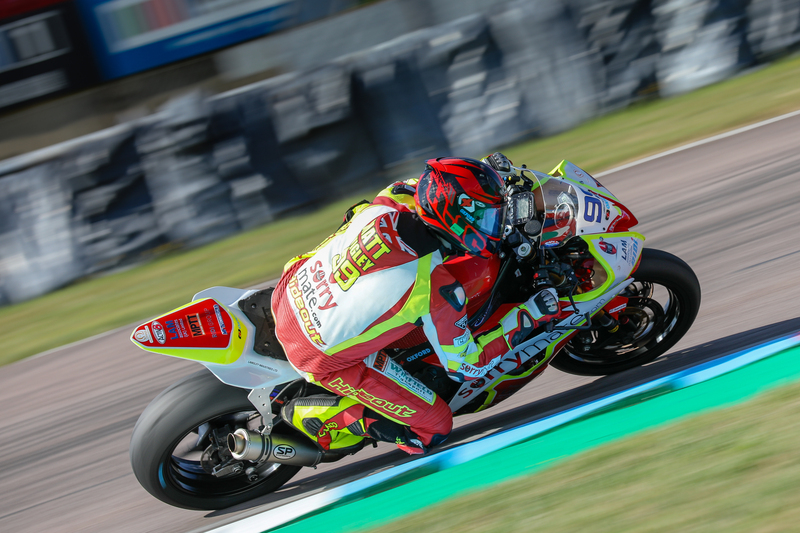 Matt also put his fastest lap time down on lap 12 of 12, despite the session being cut short after a red flag incident, he felt there was plenty more to come for tomorrows qualifying. Qualifying got off to a dramatic start. Kurt was first out on track with Matt being held back due to some technical issues. After joining the session late, Matt managed to knock 0.3 seconds off his FP1 times, putting down his personal best, leaving him in 17thplace. Unfortunately a persisting water leak left Matt with no choice but to retire early from the session, meaning he finished the session to qualify in 21stfor Race 1. Kurt did exceptionally well, slashing his personal best by a second. 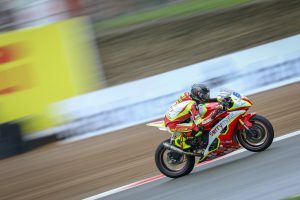 He continued to push hard and qualified in 15thready for Race 1. Race 1 was declared dry despite the rain appearing throughout the day. Both riders got off to a good start and made their way up the grid. Kurt found himself battling for points with the group around him. He pushed hard and finished the race in 14thand putting himself 16thon the grid for Sunday’s race. Matt also had a battle on his hands working his way through the group he had found himself with. 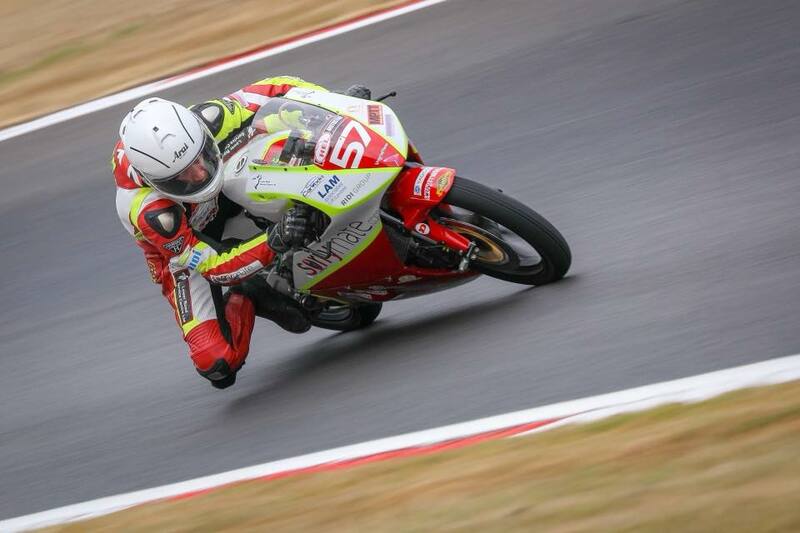 He worked hard and beat his qualifying time by half a second but just missed out on points, finishing in 16th. He would start Sunday’s race from 19thplace on the grid. Sunday brought more rain for the team. Starting from behind one another on the grid, it was declared a wet race. Matt got off to a great start and pushed his way up the grid and battled with the same group he was with during Saturday’s race. Continuing to put in fast lap times, he made his way up to 14thplace. Kurt as also putting in faster lap times and making his way up the grid. During the last few laps, Kurt could see Matt with the group ahead and closed the gap towards them. 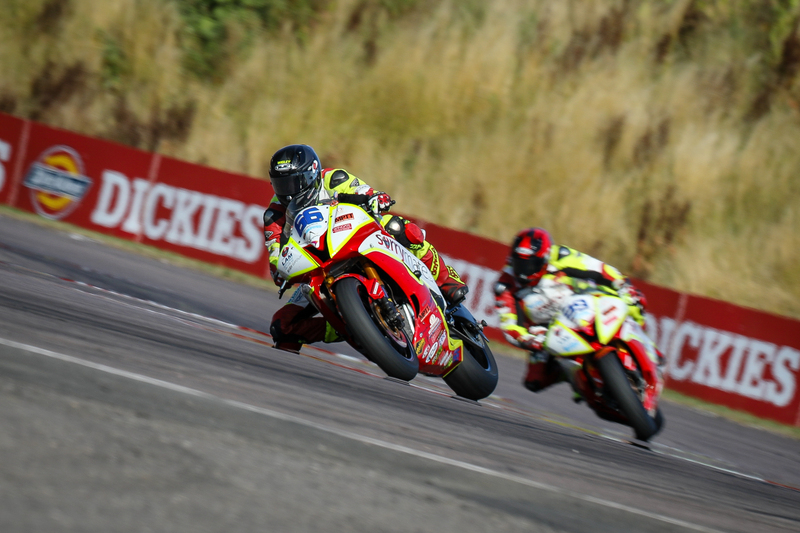 With both riders together, the battle continued until lap 14 where an incident a Knickerbrook meant Matt’s race was over on the last lap, losing is position firmly within the top 15 and ahead of Kurt! Kurt fought with the group around him, finishing in 13thplace. Not the outcome Matt or the team wanted but they had a lot of positives to take from the weekend. Another big thank you to the team for their continued efforts. It’s now time to prepare the bikes as we head off to Assen this week for the penultimate round of the season. We have now broken into the final quarter of the race season with Round 9 of the BSB race season taking place on the Silverstone National circuit. This was a new experience for the majority of riders due to investigations following Moto GP. The weekend began on a high note with Kurt setting down some solid lap times in the dry, landing him in P10 in FP1 and P8 in FP2. 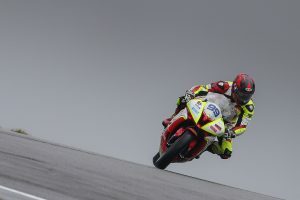 He came back from the sessions satisfied that he had exhausted as many potential racing lines and breaking points possible in the time frame to give him the best chance in qualifying the next day. 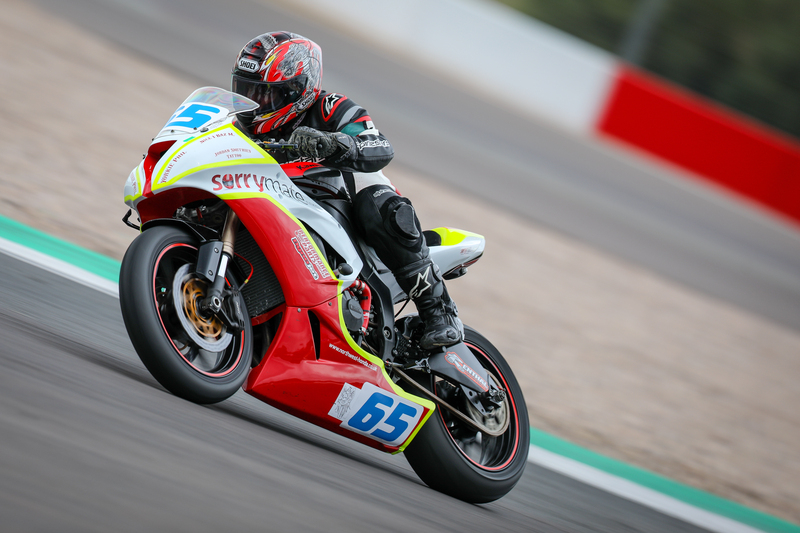 Having not rode at Silverstone for the last couple of years due to previous incidents and injuries, Matt had a little more catching up to do and spent his time recapping and building on the sections of the track that he had some experience with as well as the new corner. He was able to knock just over 1.5s off his lap time from FP1. Saturday bought some miserable weather conditions with high winds and heavy downpours. 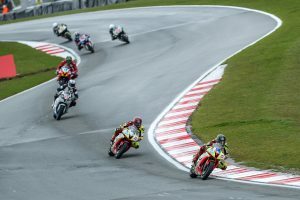 The rain eased off in time for the Dickies British Supersport qualifying session but the track was still wet, levelling out the playing field. 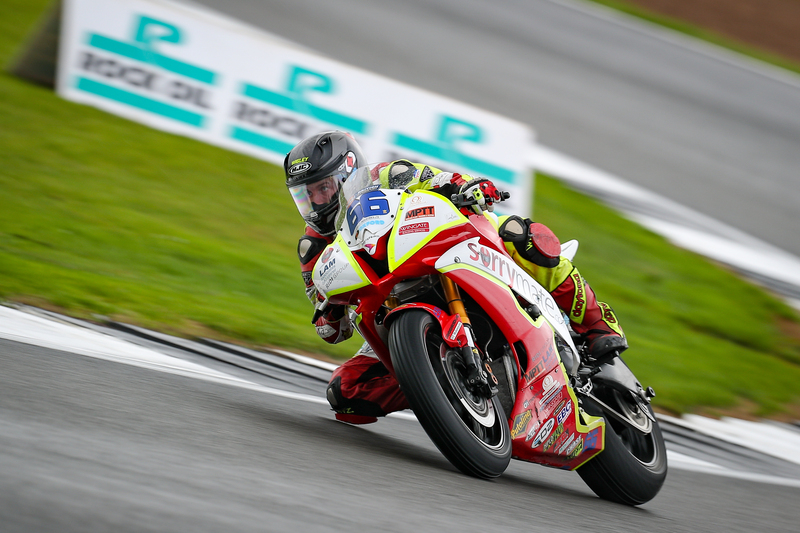 Kurt felt confident in the conditions and rode hard, pushing forward throughout the session and securing a second row start for the sprint race – P6 on track and P5 in class! Due to the change in weather conditions, Matt had yet another barrier to overcome. 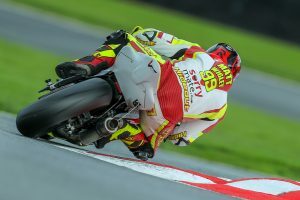 Having time to re-adjust to the track in Free Practice would benefit him for the races to come, but with a wet circuit, Matt had more alterations to make to his riding style, thus bringing it home starting from Row 8 on the grid. Conditions improved for the feature race on Saturday evening. It was great to be towards the front of the grid for Kurt and he had his eyes set on the first group. However, unfortunately getting caught up behind another rider and losing out to the increasing gap, he found himself in a battle for the second group and fighting for the top 10 positions. He managed to break away from the group, finding himself with a two second gap in front and behind him. Due to being such a short race, he was unable to close on the next rider. Bringing it home in P7, Kurt was pleased with the positive outcome of the race. Matthew had a good start and found himself in an battle with a few of the other riders. It was turning out to be a series of intense racing encounters when we was forced to retire due to a technical issue with the bike. The mechanics got straight on to the issue after the closure of the race and were able to fix the problem before the feature race on Sunday. Despite Kurt’s great finish the previous evening, he was set to start from P11 on the grid based on his lap time and with this being positioned in the middle of the row, he certainly had his work cut out for him. The start was challenging and after a couple of encounters breaking his momentum, he fell back to 17th. Thankfully with the extended race distance of 26 laps and his forte of stamina and endurance, Kurt was able to retaliate and close in on the competitors in front. He crossed the finish line 0.2s behind the 5thplace rider, securing a strong set of points and moving up another place in the championship. Due to the incident in the sprint race, Matt began the race on the 9throw of the grid in 25thposition. 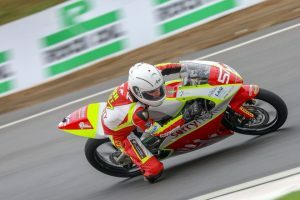 More determined than ever, he was driven to prove himself fought forward until he found himself in an extraordinary battle with another rider throughout. He bought it home in 17thposition, a huge improvement on his starting position. It was been great to achieve some of the best results for this year and we hope for this continue forward until the end of the season. Positive emotions have been running high throughout the team this weekend and between our sponsors and guests who visited us! 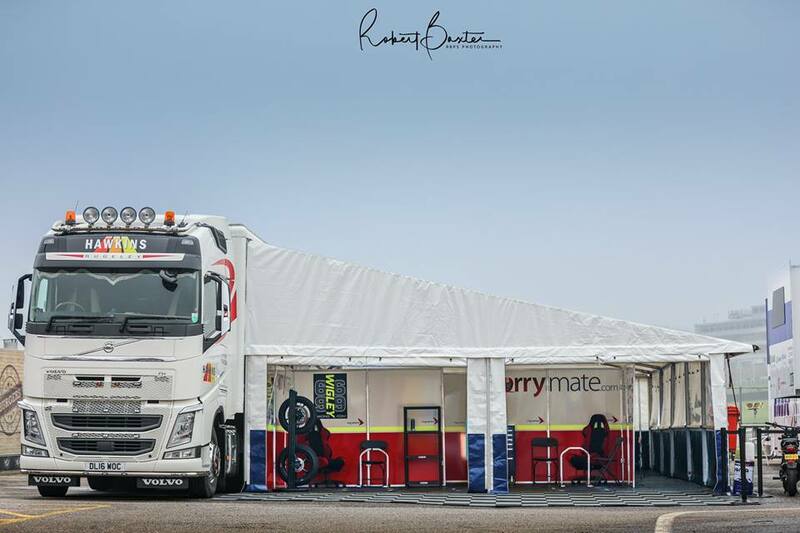 We would like to say an extra thank you to the whole team and all of the sponsors on-board for their support. Great to have a positive weekend! For Round 8 of the season, we returned to Cadwell Park. 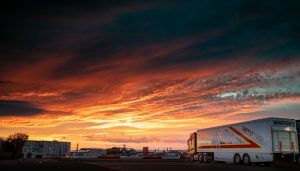 The team’s morale was high with positive outlooks set for a slightly cooler weekend in comparison to the last couple of rounds previous! We kicked off Friday morning with Free Practice 1 where both boys spent their time re-adjusting to the track. Matt’s previous visit to this circuit took place two years ago. He concentrated on adjusting to the track and progressed throughout FP1. Kurt rodewell, slicing his lap time throughout the session, however, he did not supersede his personal best. Following the session, there were changes to be made to the bikes and reviews of previous data. These changes reflected in FP2 where Kurt knocked a second off his lap time and Matt followed, knocking off half a second. Saturday morning bought more decent weather conditions for Qualifying. The team were up bright and early in preparation for the session, with the boys spending their time revising previous data and looking for improvements. Kurt pushed hard right from the off, continually finding areas for improvement in each sector, leaving him with his fastest lap in the middle of the session. Matt performed at his peak towards the end of the session. 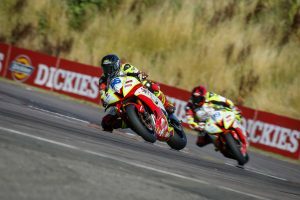 This left them qualifying on the inside of row 8 and 9 for the race, a result both riders were not happy with but requiring further development for the race. 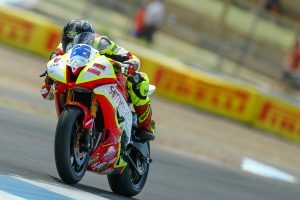 The beginning of Race 1 was a disaster for Kurt, with an electrical fault causing the bike to cut out as he took his grid position. As a result of this, he was forced to abandon the warm-up lap. 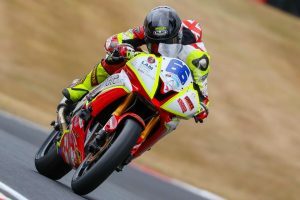 He managed to get the bike running again and was able to join the back of the grid which proved to be beneficial as the bike continued to cut out when ticking over. In the opening laps, Kurt made up for lost ground. With lap times over a second faster than those surrounding him, he was able to catch and pass the next group, finishing the race in 16th. Matt had a great start to the race and battled his way to the front of the group that he was with. However by this point, the group ahead had broken away. Still pushing hard, Matt found himself alone on track for the latter stages of the race. 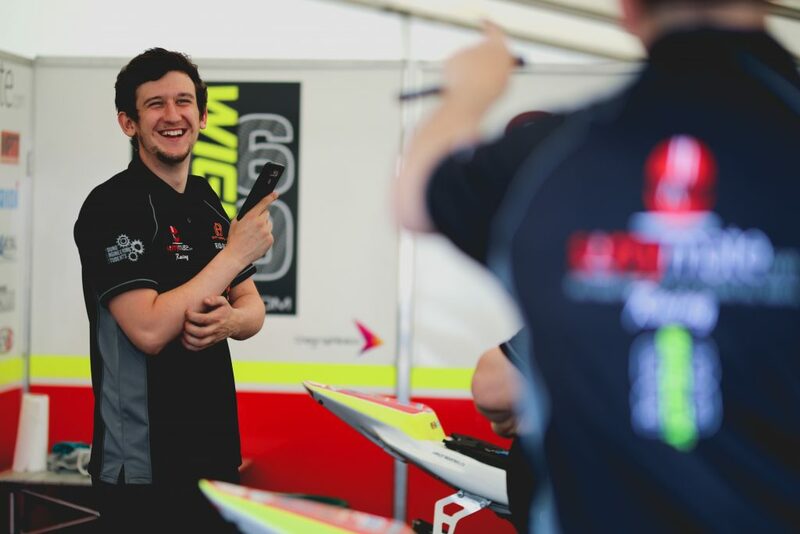 Finishing in 18th position with an improved lap time, Matt was pleased to be further forward on the grid for Race 2. Sunday morning was extremely busy at Cadwell Park. We were pleased to cater for a lot of guests in the hospitality, and this was equally reflected in the huge turnout of people at the event for race day! The mechanics had a late night previously fixing the hidden electrical fault on Kurt’s bike. 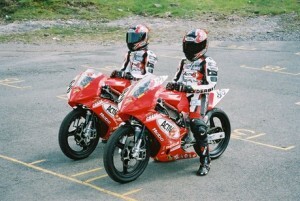 With the bikes all set and higher starting positions on the grid, the boys were feeling positive for the race to come. Matt found himself caught up in a battle with two other riders for the majority of the race, with gaps forming and being closed again continually. Not allowing them out of sight, he kept fighting to stay ahead and bought it home in 17th position. Kurt also had an intense race, finding a group fighting for the points. All within approximately half a second of one-another, the last couple of laps were intense. 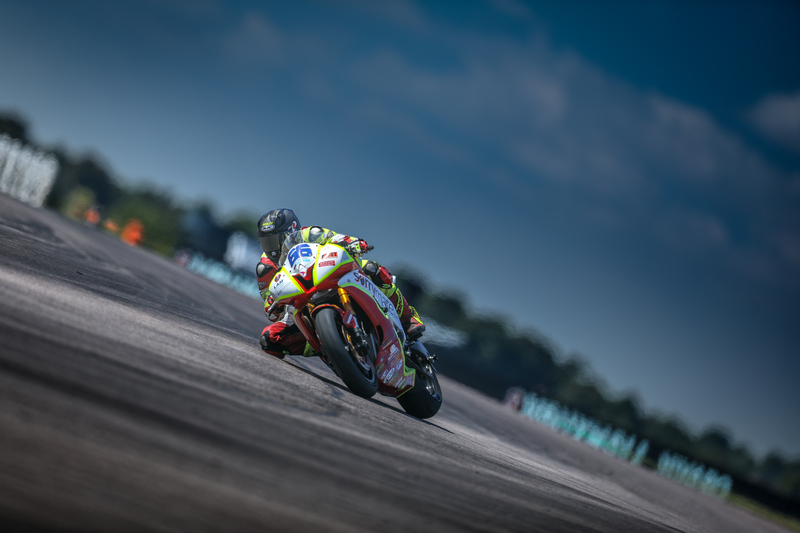 Losing out to only one of the riders, Kurt crossed the chequered flag in 15th, winning the battle for the points and moving forward a position in the championship! 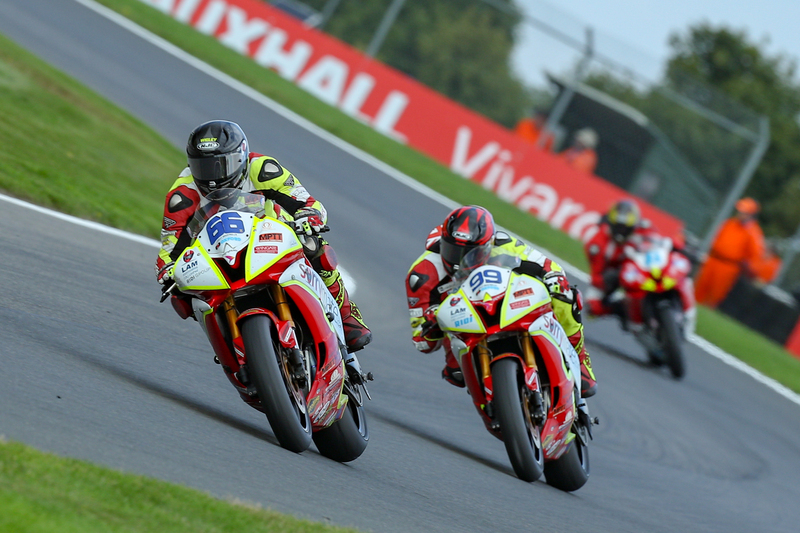 We now have a few weekends to organise the bikes for Silverstone and in preparation for the busy month of September with three race meetings! 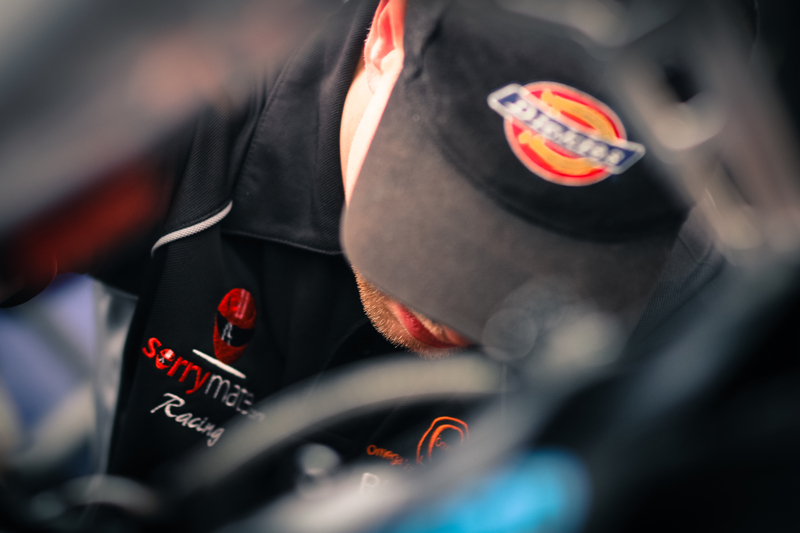 Huge thanks are due to our mechanics who not only give up every weekend to come and help us get to where we are, but for all the work that they do outside of the race meetings and behind the scenes. 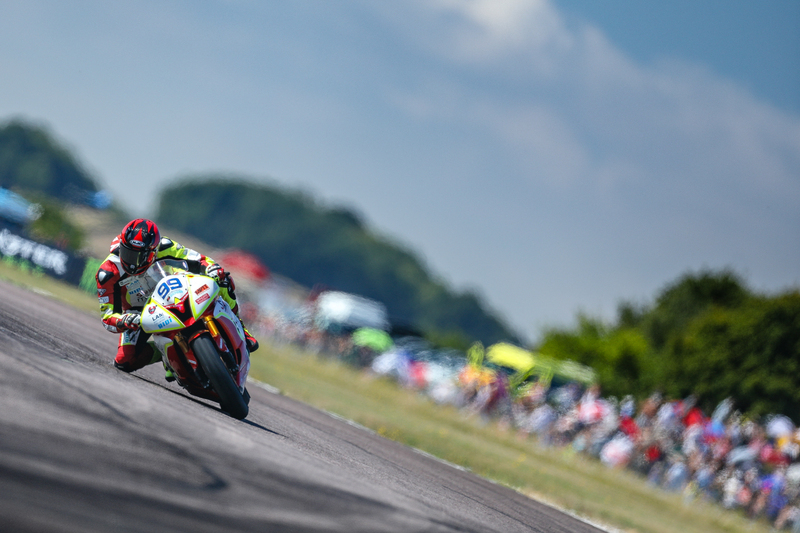 Round 7 took the team to the Hampshire Circuit, Thruxton. As one of the fastest circuits on the BSB race calendar, both Kurt and Matt were looking forward to the variation in riding conditions. Furthermore, with temperatures set to reach 30oC and over, the team were set to face the hottest weekend so far! FP1 provided a positive start for both Kurt and Matt, both setting consistent times and continuing to improve lap by lap. Kurt finished the session in a respectable 16thplace, with plenty of ideas and changes to be made to the setup ready for the next session. Matt also continued to put in consistent lap times, although the session was cut short due to technical issues with the bike. The focus of the team between the two sessions was to resolve Matt’s issues along with making the necessary adjustments to the settings on Kurt’s bike to move forward. With changes made, Kurt continued to improve on his times during the FP2 session and his consistency kept him completing the session having knocked half a second off his lap time. Matt also improved during this session and sliced his time by 1 second from FP1. However, despite his best efforts, continued technical difficulties cut his session short. For Saturday’s qualifying session both riders had a plan for improvement. The team worked over night on the setup of the bikes, putting both riders in good stead for the morning qualifying. Both Kurt and Matt decided to go out on a used rear tyre in a hope to make improvements later in the session. From the off Kurt and Matt managed to make improvements pushing them up the order. As a result, Kurt improved from FP2 by 1 second! 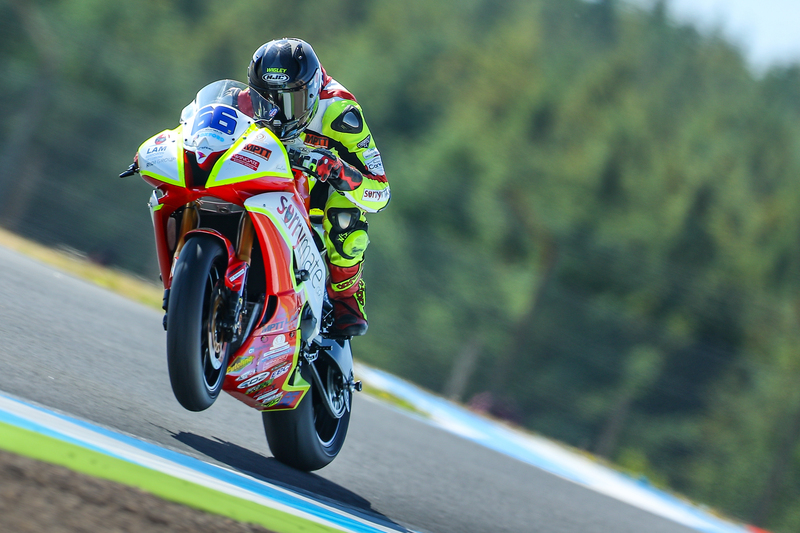 Matt also improved on his time but minor setup changes had eaten away at his front tyre. 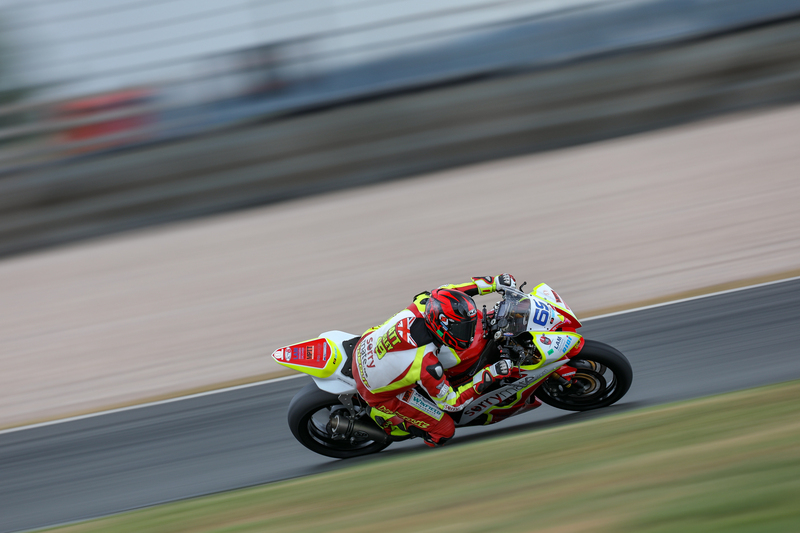 Both riders qualified further down the grid than initially hoped meaning that there was a lot of work to do in Race 1. The first sprint race of the weekend saw both Kurt and Matt get off to a good start. Working their way up the grid, they were together on track by lap 4 and used each other to cut through the field. As the race progressed, Kurt managed to gain on the group ahead and after a 12-lap battle, finished the race in 14th. 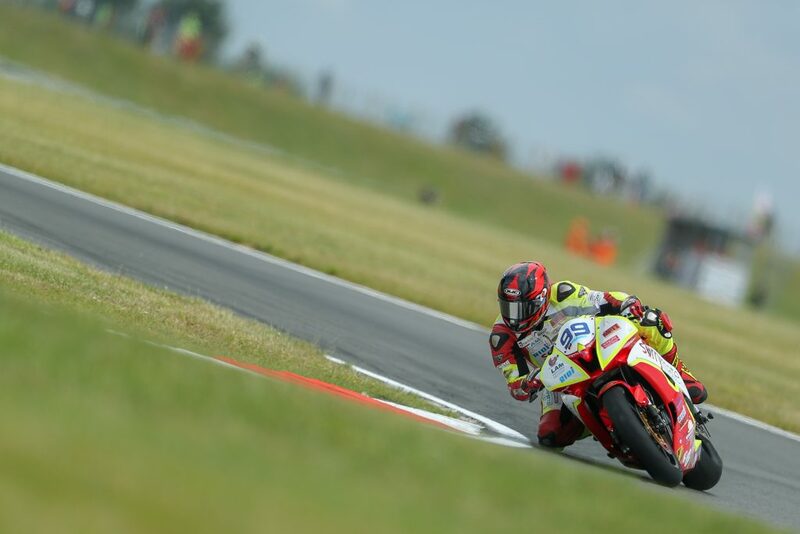 Matt also continued to maintain his position and completed the race close behind his twin and team mate in 15th. 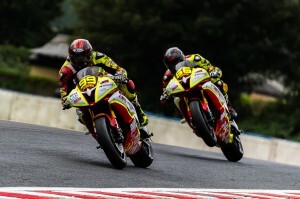 With both riders receiving points, they were left feeling confident about the race ahead. Matt and Kurt found themselves side-by-side on the grid for Sunday’s race. It was a difficult opening lap for both riders but they continued to build on Saturday’s performance. On lap 3 of the race, Kurt caught up with the back of the group ahead. However, unfortunately Kurt ran on at the final chicane, resulting in a 1.7 second penalty. Despite this, he gained positions throughout the race and finished in 12thposition. Matt also got caught up in the pack close behind Kurt, resulting in him losing time on his race pace. He continued to defend his position and finished the race in 13th! 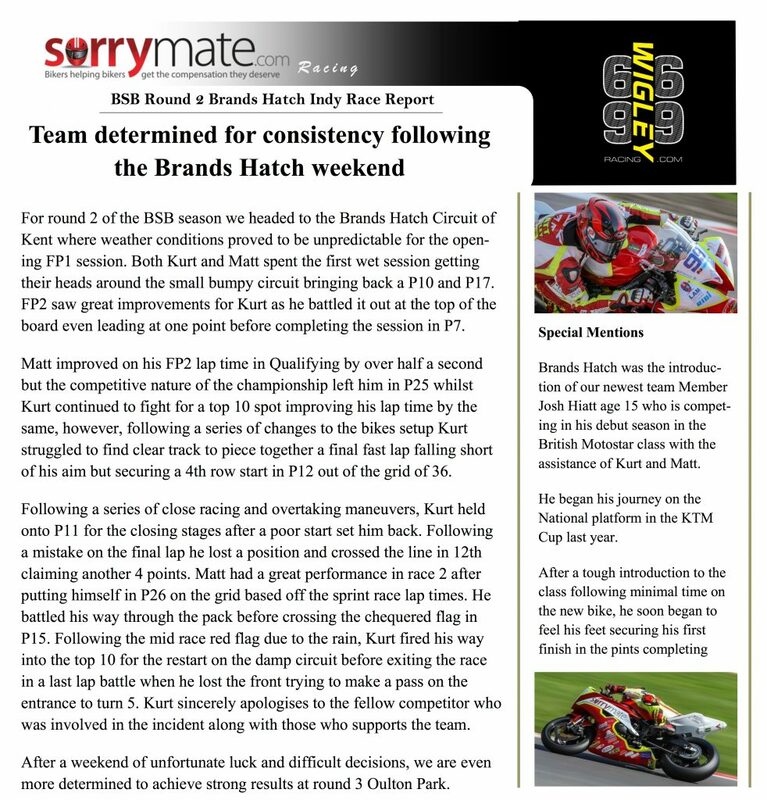 Overall it was positive weekend for both Kurt and Matt, finishing both races in the points and building consistency and confidence. The next goal is to continue pushing forwards and reach top 10 positions. We are looking forward to Round 8 of the BSB race season which will take us to Cadwell Park. Saturday 28th brought the first 8 hour endurance race hosted in the UK at our local circuit Donington Park. We teamed up with 2 fellow riders with one being Phil Paxton, a Sorrymate.com employee looking to complete his time on the racing scene with a show. From the word go the race was declared wet following a downpour through the night, this meant that we had a 1 hour open pit lane qualifying session to secure a strong position for the Le Mans style start. The race was divided by 600 and 100cc classes with all on track simultaneously. We qualified P1 for the 600 class 5th overall. Kurt was voted to do the first stint so as Matt held his bike, Kurt took position on the opposite side of the start finish straight ready for the sprint over to the Sorrymate.com R6. As the Union Jack flag was dropped, the 33 riders made the charge for their bikes. Kurt had a strong start entering the first corner in 4thbefore spending the first half of his stint battling with two 1000cc machines. It became quite an entertaining element to watch due to his lack of straight line speed. The team tactic was to pit just before the bike ran out of fuel, therefore, as the fuel light came on Kurt completed his final three laps before heading into pit lane for a bike and rider swap. This bought the first stint of 43 minutes to a close, currently placing us in P1 overall for both classes. Matt soon took over and started pushing his way forwards through the traffic on circuit. Due to the difference in rider experience on track, it was vital to maintain maximum concentration and anticipate the outcomes of overtaking manoeuvres. 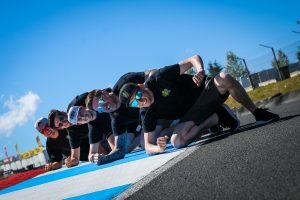 By the time Matt commenced his stint, the team had fallen a lap down but managed to complete his stint with consistent times and unwind the lap lost. 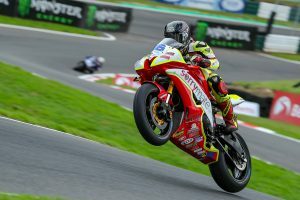 This was potentially with the aid of remaining on circuit for the extra few laps, resulting in him running out of fuel and having to roll down pit lane for the next rider to take over. Following the first hour and a half of predictable weather, conditions swiftly changed and the rain returned, creating somewhat of an unpredictable event. At one point in the race it seemed as though each time a rider was sent out, the opposing weather condition to suit their tyres prevailed. This left Kurt out on track for over half an hour with full wet tyres on dry tarmac. On his return to the pits with a rear tyre that was once a brand new wet, that now looked more like a slick, he swapped over with Matt who left pit lane on dry tyres minutes before it began to rain again. He was forced to complete a short stint, once again on the wrong tyres, as every few minutes the rain started and stopped. 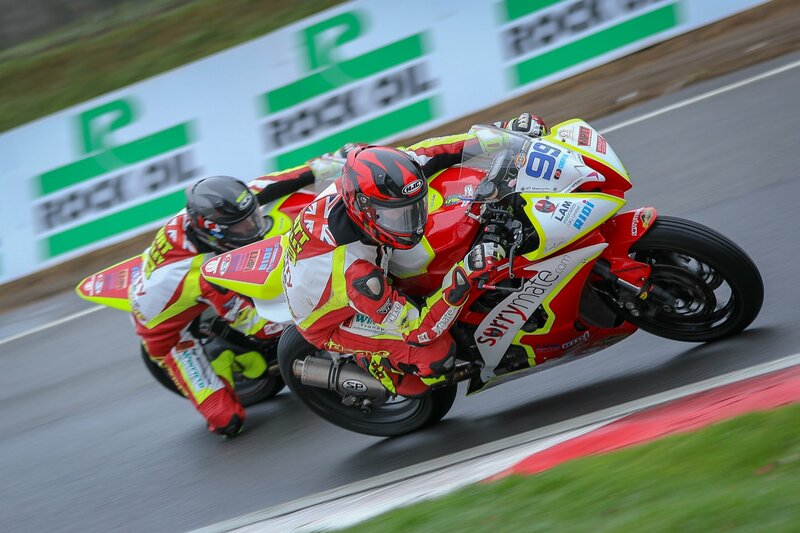 Throughout the entire closing stages of the race, decisions relating to the weather were hit and miss but we managed to push through crossing the finish line on the 8th hour in P1 for the National 600cc Class and 4th overall in the National 1000cc Class. We completed 263 laps during the course of the race and thoroughly enjoyed every minute of it. 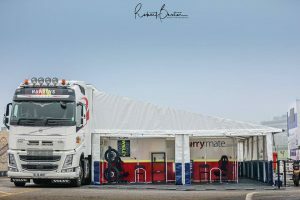 We’d like to say an extra special thank you to Sorrymate.com for entering in to the race, along with our team members for working hard through a demanding race of such a length. 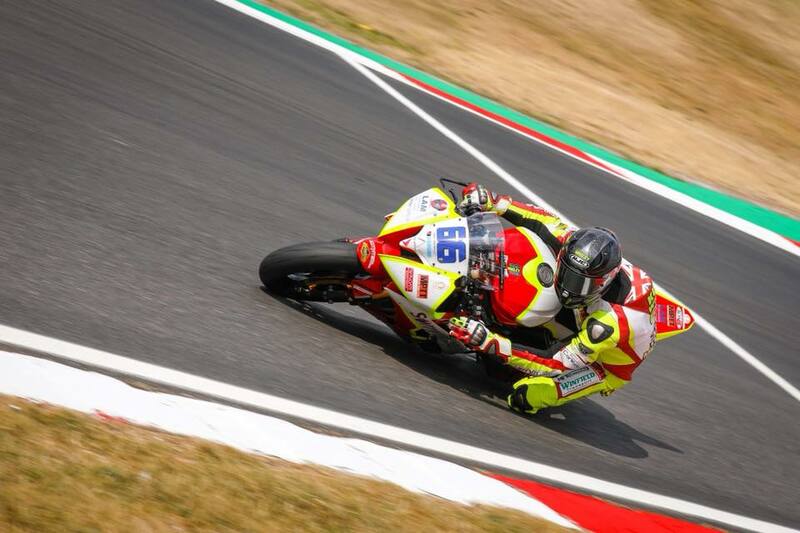 The half way point of the season has quickly arrived and Round 6 of the season bought us back to Brands Hatch to tackle the GP circuit. Matt was pleased to be able to return for this round although still recovering from his injuries. We were faced with bright forecasts for another glorious weekend and all engines were ready to go! The Free Practice sessions bought a positive beginning to the weekend, with FP1 providing warm dry conditions. Matt spent FP1 feeling his feet and getting back on the pace whilst Kurt was faced with a reduced session following an engine failure. The mechanics did a fantastic job swapping the engine in less than two hours in order to prepare for the following session. For FP2 we were greeted with a sudden downpour and a wet track. Kurt soon got to grips with the changing condition having already shown earlier in the season that he has the pace to be a front runner in the rain, completing the session in P3. Matt also enjoyed the session, running in the top 10 before completing the session in P11. 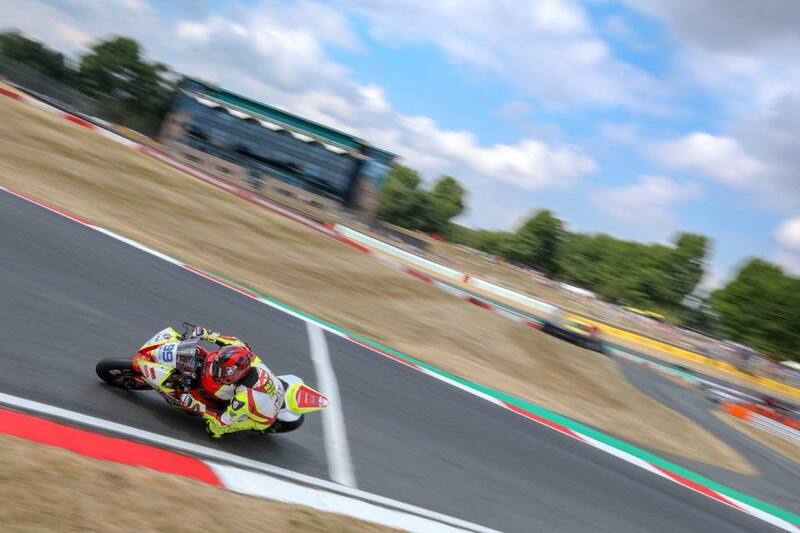 The sun returned on Saturday as we entered qualifying beginning with the Moto3 class where Josh shaved almost three seconds off his lap time from practice and obtained P15. Both Kurt and Matt had a challenging session, with multiple pit stops between the two of them making changes to the setup in the bid to piece together the perfect lap. 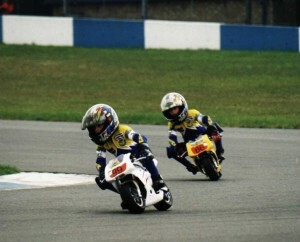 For Race 1, both boys pushed to stay with the main group. 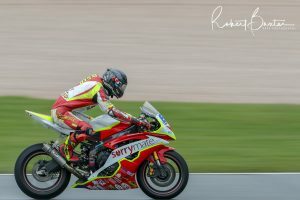 Kurt had a good start to the race, however got stuck trying to pass a slower rider on the open stages, therefore the next group broke away. He was able to bring it home in 14th position, beating his personal best lap time for the weekend and finishing in the points. Matt also had a great start from such a long way back and made some room in the opening laps, however as the race progressed he slipped off the back of the pack, leaving him just outside the points. Sunday bought more positive prospects for the boys as their improved lap times enabled them to start from better positions on the grid. A poor start from Kurt set him back after the first corner and staggered his rhythm. Firstly, he had to pass two GP2 riders to meet an intense encounter with another rider for 14th position. There was serious deliberation and numerous overtaking manoeuvres and Kurt came out triumphant, closing the race in the points. 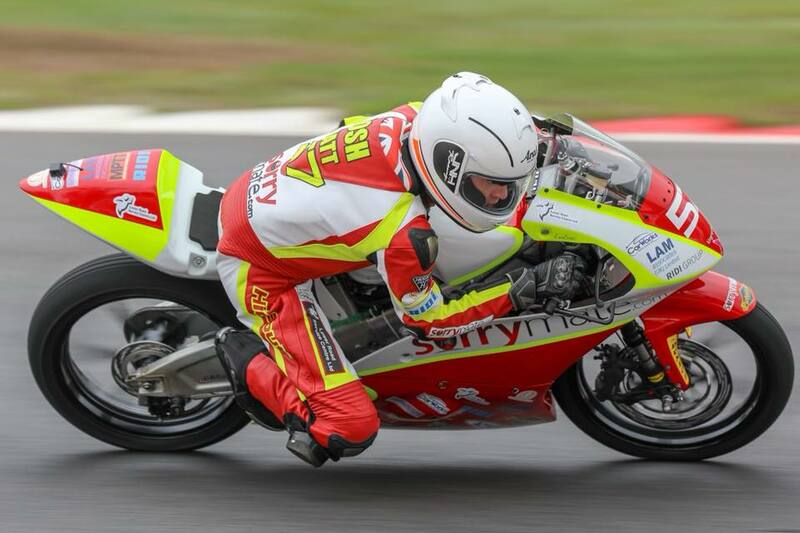 Matt also performed well, with his brother in sight he endeavoured to continue passing riders and was able to close the race in P15, a fantastic achievement following an injury. All in all, it has been a positive weekend with Matt feeling determined to continue chipping away following his injury to improve. Kurt landed in the points in both races and was pleased with this as consistency is something that he is looking for, however, knowing that he can achieve higher, he has the drive to want to push further. The 2018 season is well underway and for Round 5 we ventured up North to sunny Scotland to take on Knockhill Racing Circuit! Matt did not compete this weekend due to Snetterton’s incident and is continuing to recover, he hopes to return for Brands Hatch in a couple of weeks’ time! Free Practice bought a good start to the weekend with a P13 for Kurt in the Dickies British Supersport class and a P14 for Josh in Motostar. Due to an electrical fault, Josh was unable to complete FP2 but the team worked hard to recover this in preparation for Qualifying on Saturday. 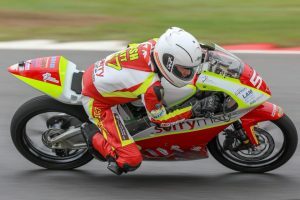 For Kurt, the competition was tough with the soaring temperatures and whilst completing the most laps and battling hard to knock a second off his lap time, he qualified on the 7th row of the grid. However, with further changes made to the bike, the team were confident for Race 1. For Josh, after overcoming the hurdle with the mechanical issues on the previous day, he made a few improvements and was able to knock almost half a second off his lap time! The Moto3 race took place first on Saturday and Josh had the pace to keep up with the pack. In the first few laps he pushed hard overtaking multiple riders, this benefitted him and led to a battle for 12th place which was achieved on the last lap. For Kurt, Race 1 bought the challenge of breaking through the pack due to his position on the grid. Unfortunately, he was caught up in the first bend and left to fight his way back though, leading to an 18th place finish. Race 2 was promising with another improvement in lap time and a battle for the points. Kurt was achieved a fantastic start and was able to work his way back through the pack, achieving 15th position. Josh’s improved lap time from Race 1 meant that he was able to start from a better position on the grid. However, the struggle to hold out for the first corner meant that he fell back to 18th. Josh pushed his way back through the pack and caught up with the group for the battle for 10th. 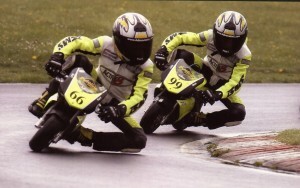 An incident with another rider separated Josh from the crowd and led to him finishing in another 12th place position. All in all, it has been a positive weekend for both of the boys with more points in the championship. Round 4 of the season took place at the Norwich circuit Snetterton. As the Moto 3 championship does not compete at some of the British Superbike events, it was just Kurt and Matt on the Sorrymate Racing Supersport machines. 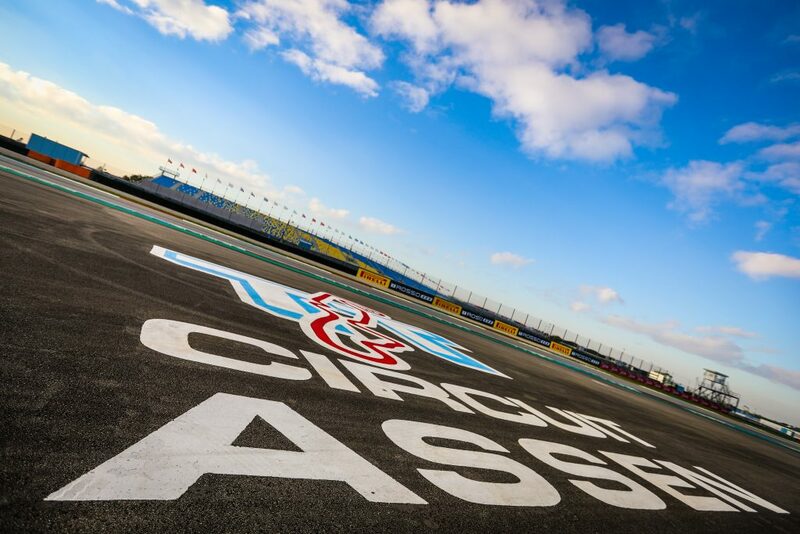 The weekend began on a progressive note as many changes were made to the setup of the bikes. Kurt had the slight advantage over Matt following a series of suspension development at the test day a couple of weeks before. From FP1 to FP2 Kurt knocked 3 seconds of his best time of the session putting him in P8 and Matt sliced his time by 2 seconds despite only completing 9 laps. Kurt was feeling much more comfortable with the bike and the progress made with the settings which allowed him to get straight out on track and start working to better his previous lap times. By lap 9 he knocked half a second off as he ran shy of the top 5 for a series of laps but the competitive nature of the class saw him fall to 9thin the closing 1 minute 20 seconds. Matt was unfortunately pushed to the back of the grid following an apparent breach of rules in the session despite further improvements leaving him to begin race 1 from 31st. 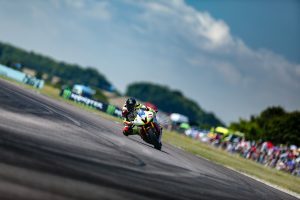 The Snetterton sprint race began to look like a change of luck for the team as they battled their way forward with Kurt in 8thand Matt running at the boarder of the points from a challenging grid position to say the least, however on the final lap this soon came to an abrupt stop as a competitor’s bike just ahead of Kurt blew up dumping an unbelievable amount of oil on the tarmac. Kurt was the first to be taken down along with the two riders he was battling with. A series of other riders with Matt being one shortly followed as the incident resulted in 7 competitors down and a red flag scenario. Unfortunately, Matt was left with concussion following him colliding with a stationary bike in the run off area accompanied with a fractured finger and ligament damage. Due to the injuries Matt sustained, he was ruled unfit to ride in Sundays feature race but he was back at the circuit after the marshals, medics and doctors in the local hospital did a great job of looking after him. The team stayed up until early hours rebuilding bikes as the high-speed crashes caused a substantial amount of damage to both. Kurt struggled to push on the brakes entering the corners in the second race due to the front end being out of line as the resources were not available to replace some major components. The team did their best to make a comeback as Kurt went on to claim 10thposition. 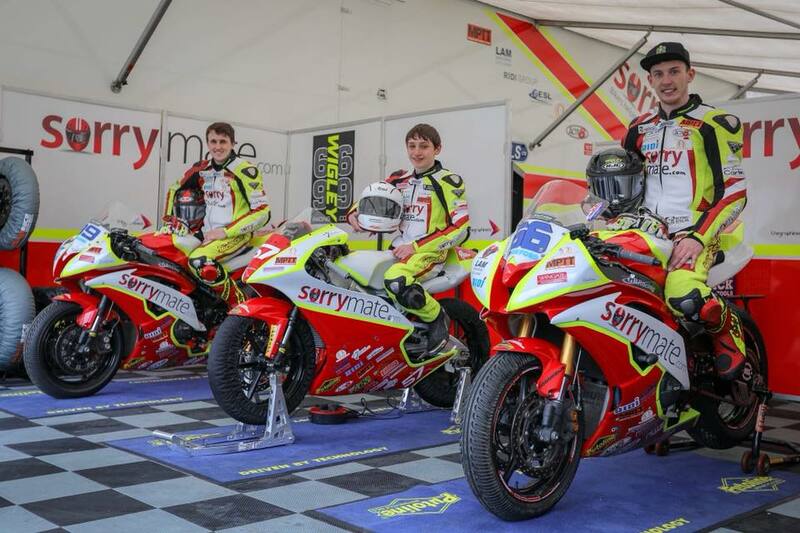 As the 2018 season approached, Sorrymate.com racing decided to continue their investment in the young up and coming racers of the motorsport by taking on the newest member who will be competing in the British Motostar class under the wing of British Superbikes. Kurt and Matt will be working with Josh to offer all the support they can. 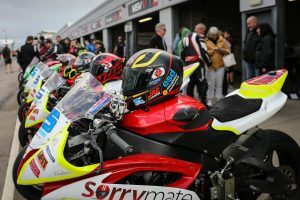 Sorrymate.com have been onboard with us for many years now and we would like to say a special thank you for their support along with everyone who backs us. It has been a cold and wet weekend at Donington Park for the first round of the Bennetts British Superbike racing season. 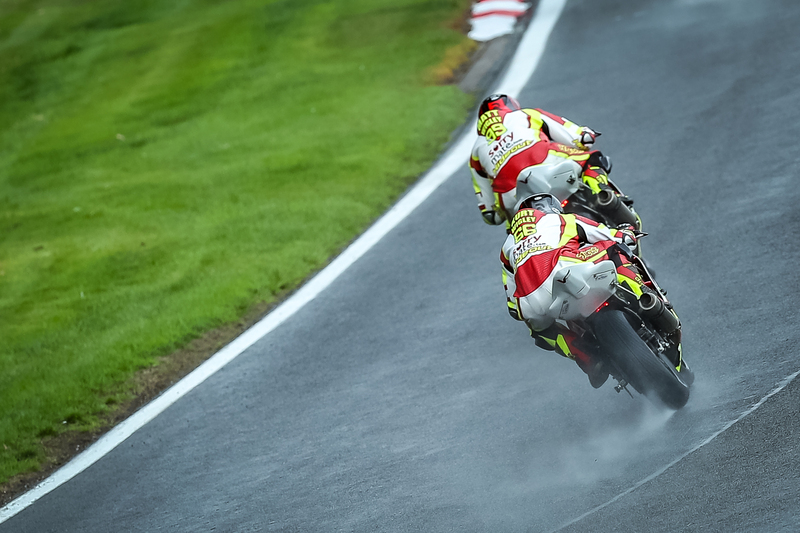 FP1 was a great opportunity for both boys to get back into the swing of things and to adjust to riding in the wet! Matt was putting down some top 10 lap times for most of the session which made for a great start to the weekend and a good confidence boost! FP2 was exciting with Kurt putting down the fastest lap and holding it right up until the end of the session where he was pushed back down to P3 as the track began to dry. Sunday provided the best weather conditions of the weekend but there was a lot of pressure on the team in decision making. Race 1 was declared wet due to weather forecasts from the nearby airport. During the first warm-up lap it began spitting so both Kurt and Matt made the decision to change to wets on the grid. Unfortunately this was the wrong decision and the rain stopped with the track remaining dry. During the warm-up laps Matt had to leave the track due to technical issues, leading to him being unable to participate in the first race. Kurt persevered with his tyre decision and rode hard, finishing in P18. Bad weather forecasts left the paddock unsure as to whether or not racing would be going ahead on Monday. The Supersport warm-up was the first session of the day and provided dangerous conditions with standing water across much of the track. 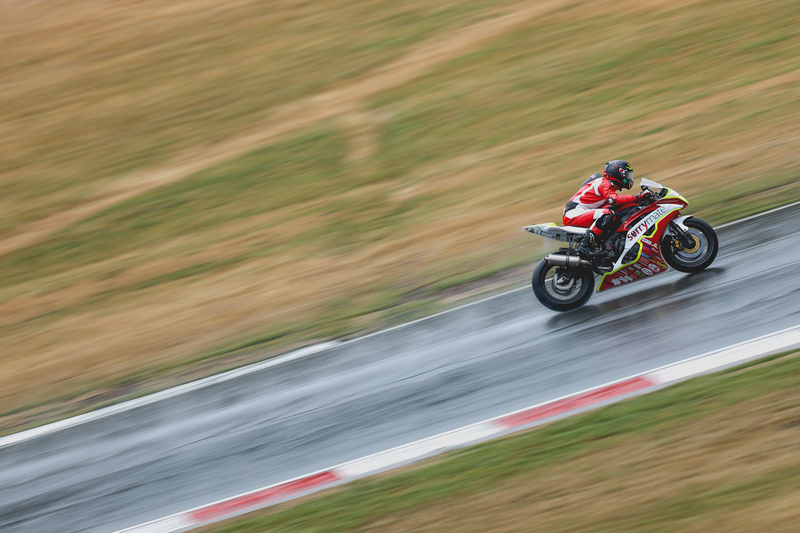 The weather improved slightly throughout the day and Race 1 went ahead as scheduled at 15:40. 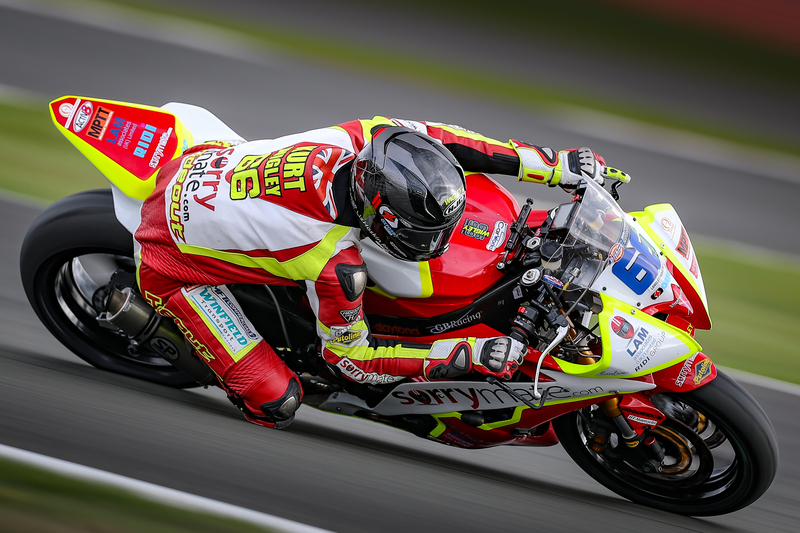 For Kurt, the conditions were just right and starting from 23rd and row 8 of the grid, he battled his way through the pack with the fourth fastest lap time of the race and closing gaps of three and four seconds between riders in front! 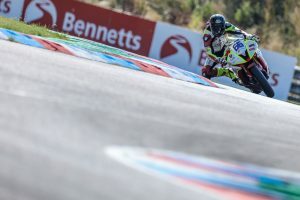 He made it to 8th position and during the 7th place overtaking manoeuvre on the last corner of the last lap he lost the front, leading to a slide through the grass and a “DNF”. 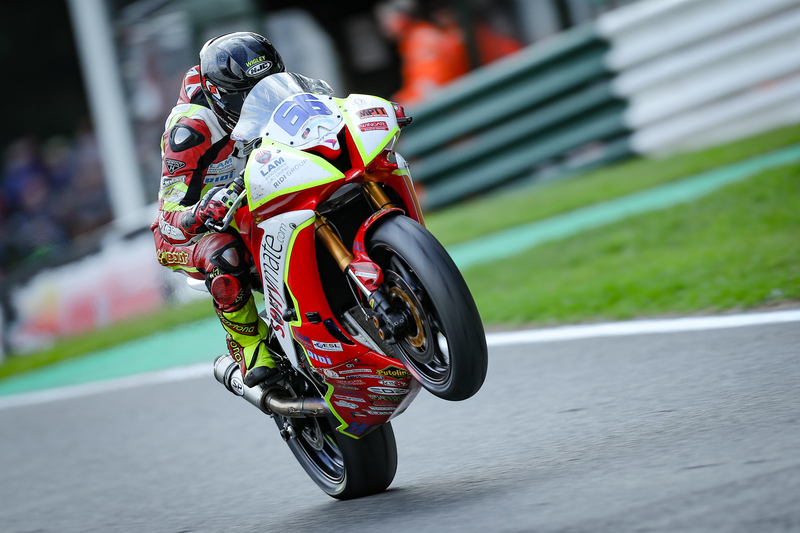 Matt was equally as impressive, starting from 29th on the grid and pushing hard to catch the next person, he finished in 15th position, closing the first round in the points after having almost a year out! There will be a full race report sent out to follow this post shortly. 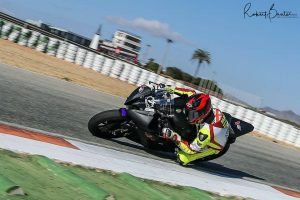 Last week Kurt & Matt took to the Spanish circuit of Cartagena in the bid to prepare themselves and the bikes for the 2018 British Superbike season. Each of the 4 days provided significant improvements accompanied by amendments to the bike setups boosting the confidence of the twins who had one key aim … to out perform one another. 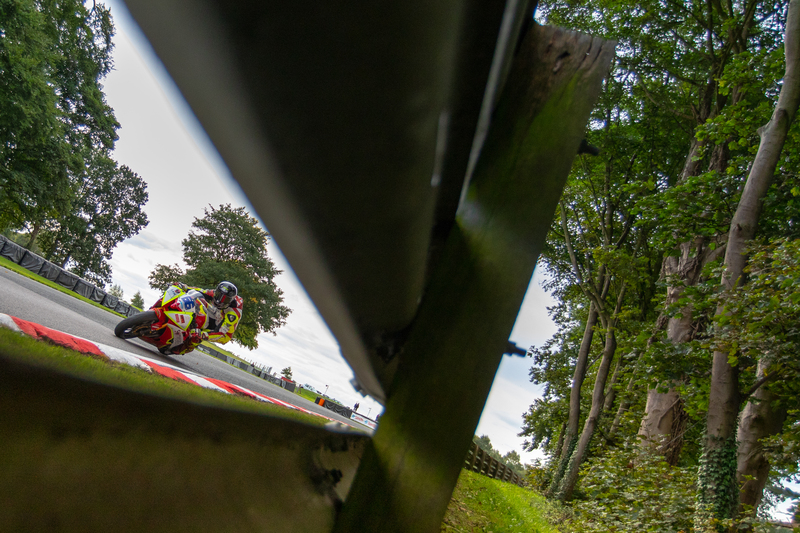 Following Matt’s high speed crash last year at Knockhill and the injuries sustained, this was the first opportunity to get back behind the screen of the two wheeled machine. It wasn’t long before his pace began to show as he spent a couple of days working with Kurt to find his feet. 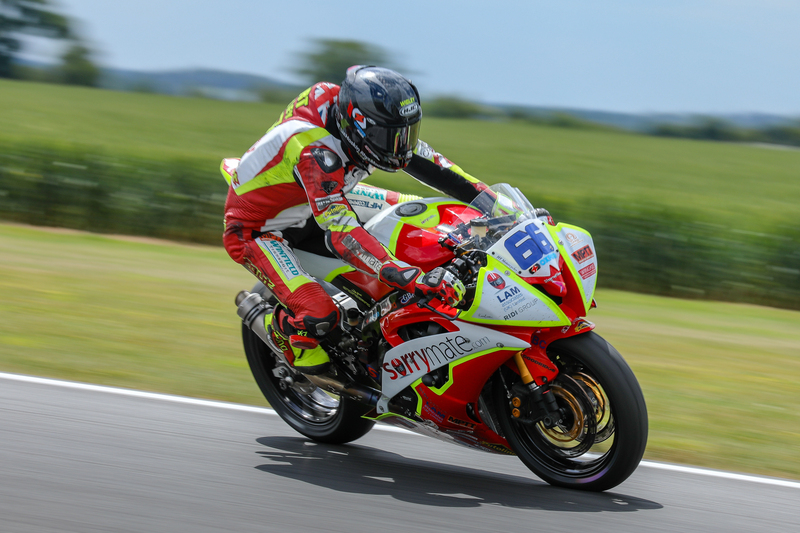 Kurt was pleased with the test as he completed day 4 with not only a new personal best lap time that would put him in the mix at the Supersport sharp end but also the awesome elbow down action captured by RBPS Photography who accompanied the team on their trip. It’s been great to catch up with a few of our sponsors today at the Motorcycle Expo show. 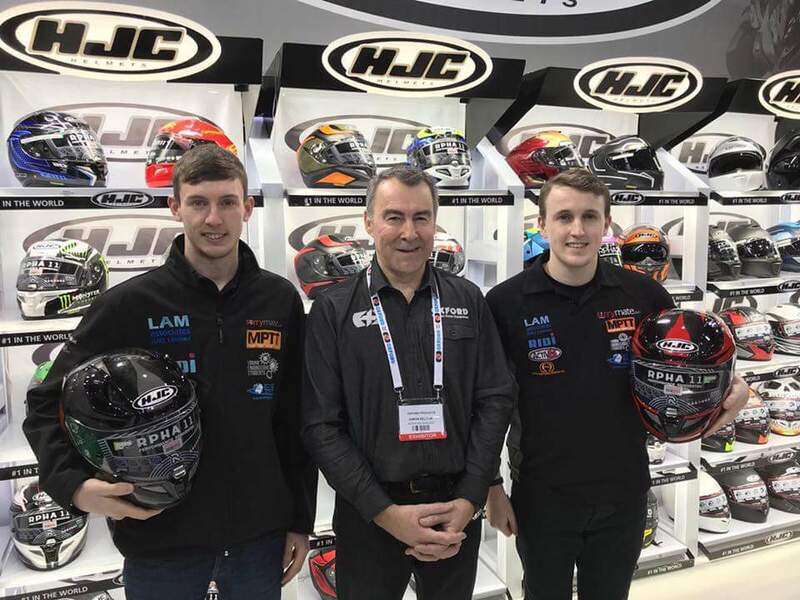 We are pleased to have confirmed our continued sponsorship by Oxford Products as they kit us out with HJC RPHA11 helmets. Its vital to have the upmost confidence in your race wear when riding in some of the most extreme conditions. Having used these helmets last season, we know that we’ll be kitted out with some of the best products on the market. We’ve also had chance to catch up with Held who will be providing our gloves for the coming season. 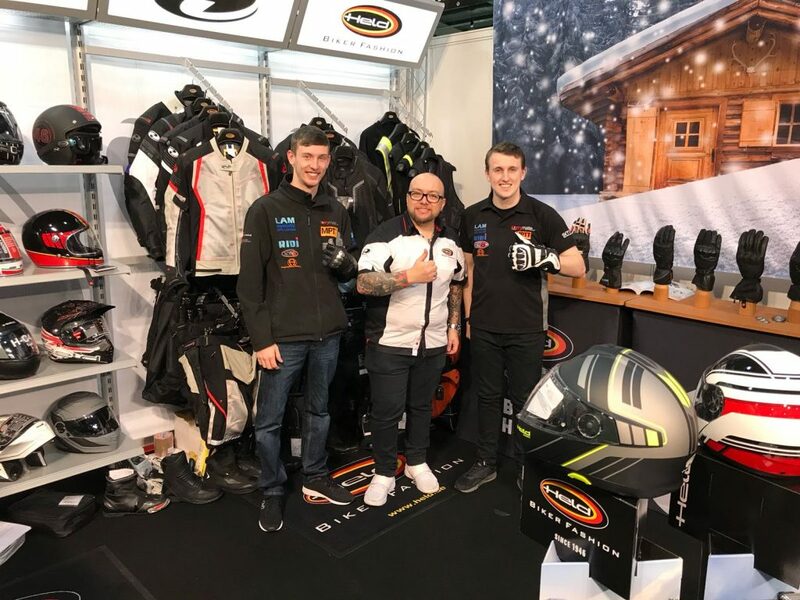 They’ve sponsored the team for several years now and have never failed to provide the highest quality hand protection, with gloves made to personally fit each of us and to match our race colours. 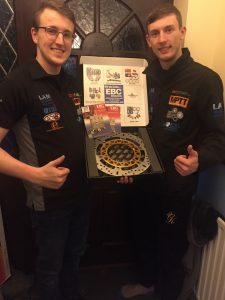 We would like to welcome EBC Brakes on board for the forthcoming season who have agreed to support the team with high performance braking systems for their Yamaha R6 machines. The race bikes will be equipped with EBC brake pads and disks ready for the commencement of 2018 testing. Check out their range of products by clicking here. Wigley Racing Twins to Keep Their Racing Numbers for the 2018 Season! 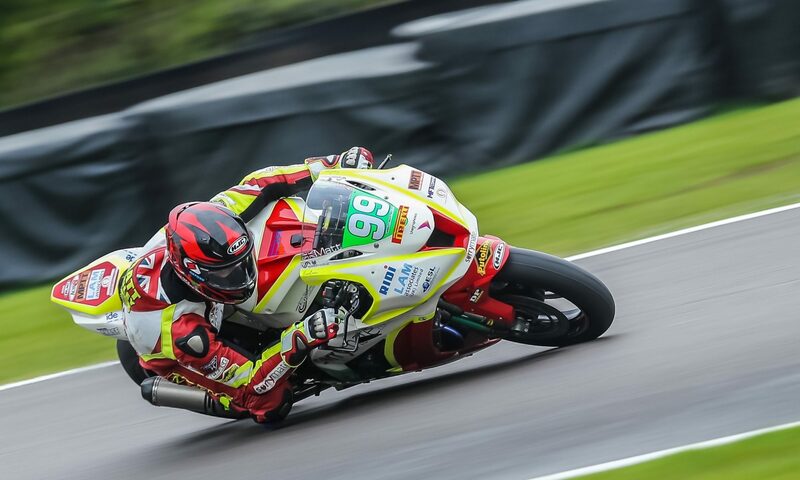 We are pleased to announce that both Kurt #66 and Matthew #99 will be keeping their racing numbers for the 2018 British Superbike Racing Season! Keep your eyes peeled for more updates with next year’s plans, including our soon-to-be-released new website which will be more accessible and integrated with our other social media platforms!